Abstract: Hidden Markov models (HMM) have been widely adopted by scientists from various fields to model stochastic systems: the underlying process is a discrete Markov chain and the observations are noisy realizations of the underlying process. Determining the number of hidden states for an HMM is a model selection problem, which has yet to be satisfactorily solved, especially for the popular Gaussian HMM with heterogeneous covariance. In this paper, we propose a consistent method for determining the number of hidden states of HMM based on the marginal likelihood. We give a rigorous proof of the consistency of the proposed marginal likelihood method and provide simulation studies to compare the proposed method with the currently mostly adopted method, the Bayesian information criterion (BIC), demonstrating the effectiveness of the proposed marginal likelihood method. The proposed method is applied to single-molecule data and yields interesting scientific insights. 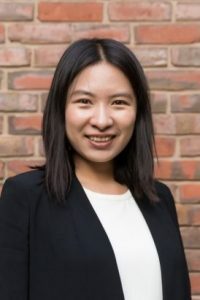 Bio: Yang Chen received her Ph.D. (2017) in Statistics from Harvard University and joined the University of Michigan as an Assistant Professor of Statistics and Research Assistant Professor at the Michigan Institute of Data Science (MIDAS). She received her B.A. in Mathematics and Applied Mathematics from the University of Science and Technology of China. Research interests include computational algorithms in statistical inference and applied statistics in the field of biology and astronomy.